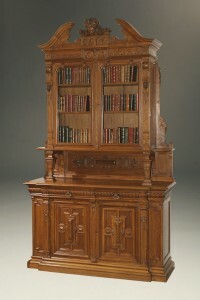 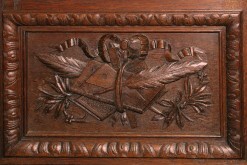 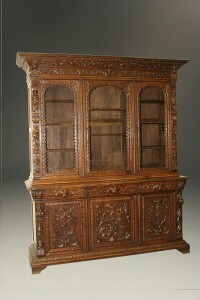 19th century French oak bookcase. 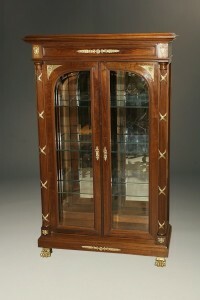 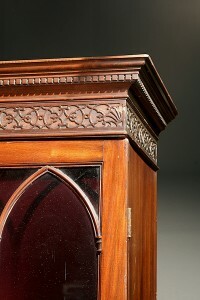 French Empire style vitrine with dore bronze mounts. 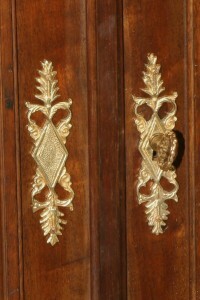 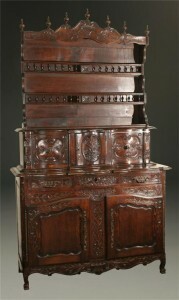 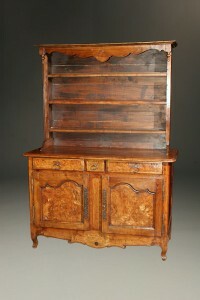 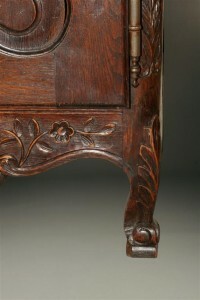 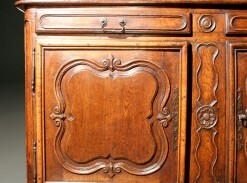 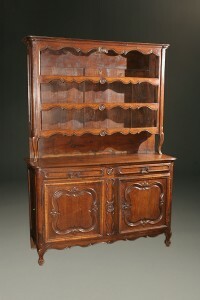 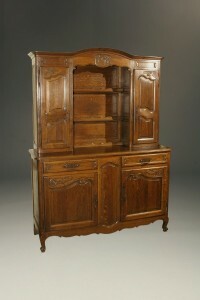 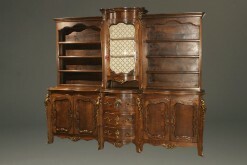 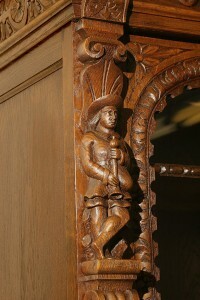 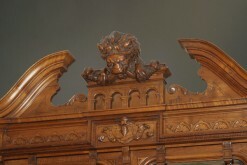 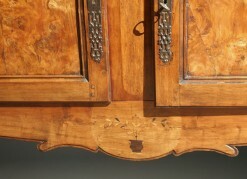 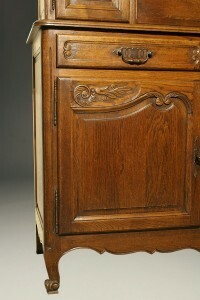 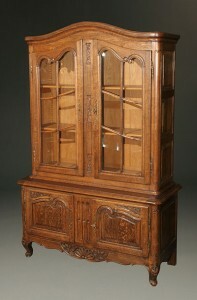 Early 19th century French Louis XV style oak vaisselier. 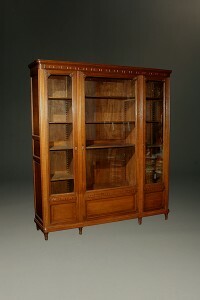 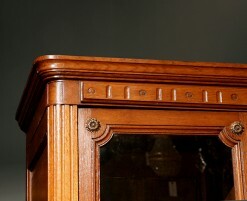 Neo Rustique Louis XV style French bookcase. 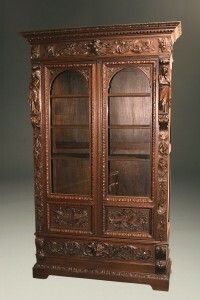 French Louis XVI 3 door bookcase made from oak. 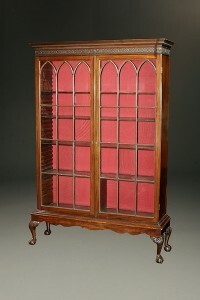 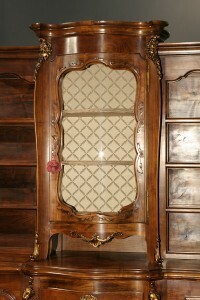 19th century Chippendale style china cabinet/bookcase.